Many hunters struggle with maintaining their trail cameras. The modern day deer hunter must be committed to gathering as much information as possible about his/her hunting location. 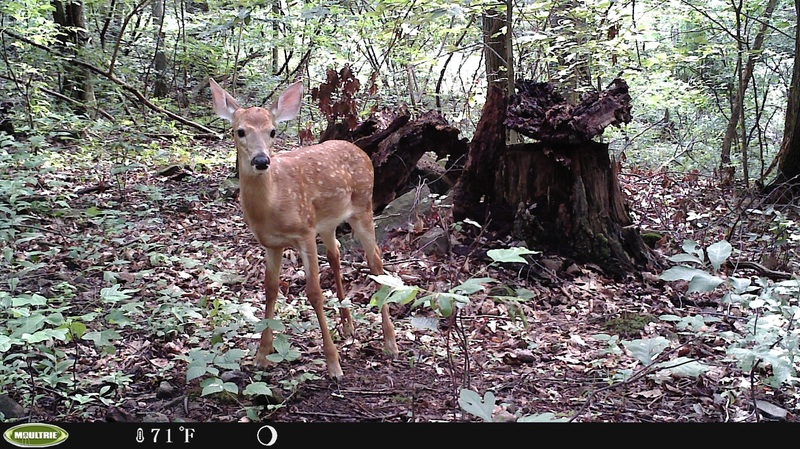 We have profiled proper trail camera use in an earlier post Click Here to read it. It is imperative that the information we receive from our trail cameras is as accurate as possible. This means the pictures from your camera need properly aligned. Most cameras today have a multitude of features for you to choose from but the most valuable is the laser sighting that will aim your camera. This little guy was captured by my trail camera as part of my “Early Returns”. He will be entered into my Deer Log as Bambi. 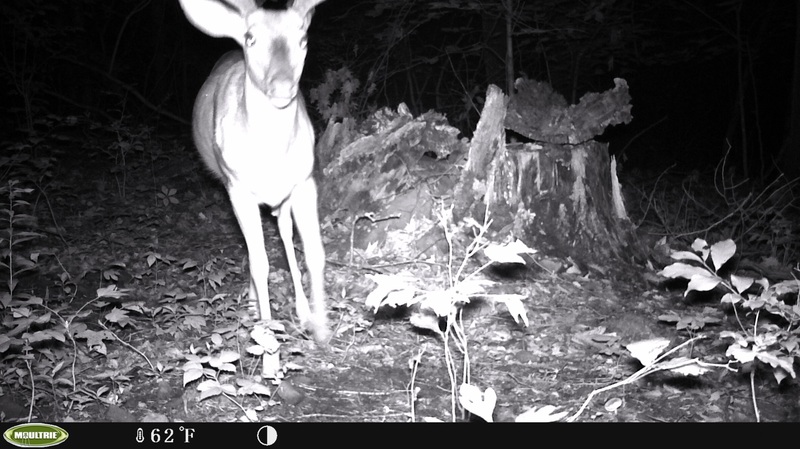 Naming the Deer in your Deer Log is part of the fun when using a trail camera. When aiming a laser guided trail camera be sure to secure the trail camera on the tree or fence post in a location that places the laser near your belt buckle. 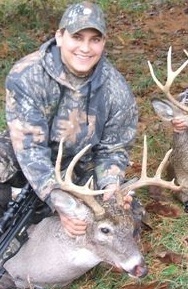 If the laser is too low you run the risk of chopping off a bucks antlers in your pictures. (As shown below in my most recent SD card recovery) If the laser is too high you will have plenty of shots of ears, noses, and tree limbs not the full body shots that will relinquish the most information for your hunt. You want the pictures to show you where the deer are coming from as well as the direction the animal is heading when it leaves. All of this information should be recorded in your deer log or journal. Having a deer log is a great tool when targeting a specific animal to hunt. After a few pictures that chopped the heads off the deer it became clear that I needed to adjust my camera angle. Here is what I recommend. Setup your trail camera to the best of your ability. Retrieve your “Early Returns” 3 weeks later. Look at the pictures and adjust the camera to make sure you are getting a good picture that is giving you the best information possible for your hunts. Then, leave your camera in the field for as long as possible. You don’t need to be running into the woods and disturbing your hunting location every week just to see the pictures your trail camera is taking. Be patient. Wait to recover your SD card until one week prior to the season opener. (Dont forget to replace the batteries and insert a fresh SD Card at this point) Use those pictures to create your deer log. Using a trail camera to gather the best and most accurate information will help you pattern that monster buck you have been dreaming of. Once you know his patterns the rest if up to you. If you have any questions or would like to share your trail camera pictures for the TSO Bragboard send them to teamsurra@gmail.com. As always, be sure to follow us on twitter @SurraOutdoors and “like” us on Facebook. Trail cameras are indispensable for the hunters today, with the help of a trail camera, you can easily track the animal. All you need to know is the location where you would have to install the camera for the perfect trail.